Step back in time to an era of grand celebrations,manicured grounds with picturesque gardens, and 16th Century French Mediterranean experience Hialeah Park! A South Florida mainstay for over 90 years, Hialeah Park is 200 acres of lush landscape and historic architecture. 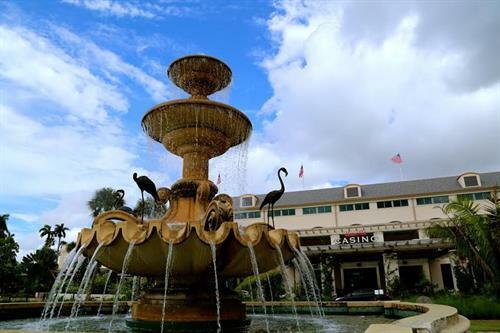 Known simply as ''The World's Most Beautiful Race Course'', Hialeah Park is eternal, magnificent and iconic, while holding the distinction of being an Audubon Bird Sanctuary with Flamingos on site and listed on the National Register of Historic Places. The future of this historic property is even more exciting. Plans are underway for a comprehensive development that supports the rich tradition and revitalization of Hialeah Park. The complete restoration of existing amenities and buildings and the development of new entertainment experiences, also includes a state of the art casino housing 882 slots and 33 poker tables, a full service hotel, a movie theater, and the creation of an outlet shopping village. The vision is to return ''The Grand Dame'' to her prior glory and, in the process, create a city center for both South Florida residents and visitors from all across the world. 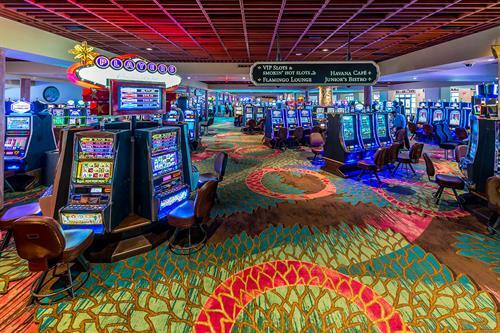 We invite you to come experience Hialeah Park Racing & Casino®! Easily accessible by all major highways, we are conveniently located 5 minutes from Miami International Airport, and 10 minutes from South Beach, Downtown Miami, Coral Gables and Doral.